Radio galaxies are colossal, very rare star swarms with supermassive black holes in their cores that are actively accreting gas and dust, generating high-energy jets that accelerate electrically charged particles to enormous velocities. Those jets, clearly observed at radio wavelengths, are a tell-tale indicator of a radio galaxy’s presence. Astronomers using the Giant Metrewave Radio Telescope in India recently found such a galaxy and then used the Large Binocular Telescope in Arizona and the Gemini Telescope on Hawaii to determine its distance: a surprising 12 billion light years. 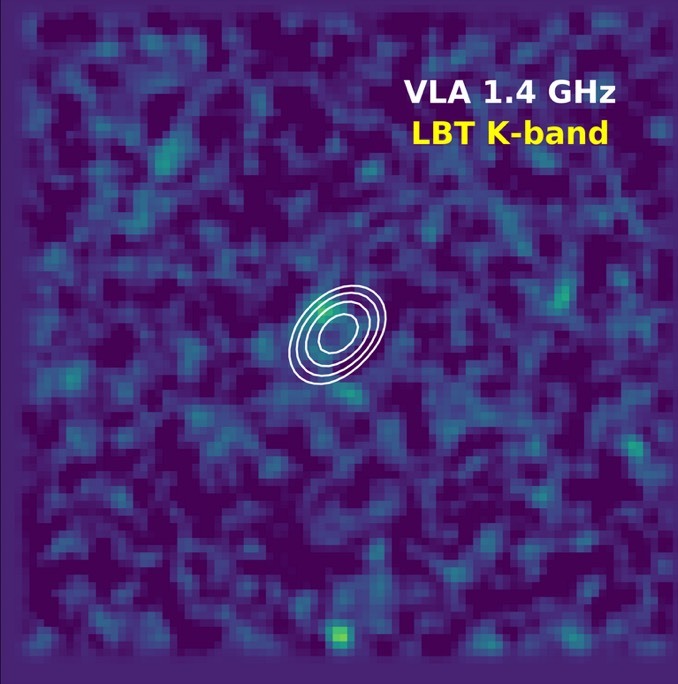 That makes it the most distant radio galaxy ever detected, one that was shining when the universe was in its infancy. Studying such radio galaxies may shed light on how black holes drive and regulate the growth of galaxies. 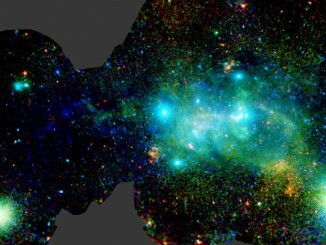 A newly released image from the ESA’s XMM-Newton X-ray satellite observatory gives us a unprecedented look at the intense processes taking place at the centre of our Milky Way galaxy. The new study, which spans a thousand light-years, is a compilation of one and a half months of monitoring, revealing the powerful remnants of dead stars and their mighty action on the surrounding gas. Peering deep into the heart of our home galaxy, the Milky Way, the Hubble Space Telescope reveals a rich tapestry of more than half a million stars. Most of the stars pictured in the image are members of the Milky Way nuclear star cluster, the densest and most massive star cluster in the galaxy. 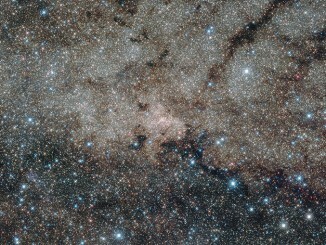 Hidden in the centre is the Milky Way’s resident supermassive black hole. 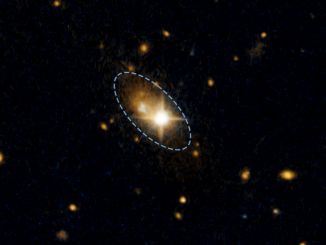 Astronomers have uncovered a supermassive black hole that has been propelled out of the centre of a distant galaxy by what could be the awesome power of gravitational waves.